When the gates open at 6:00 p.m. at Intimidators Stadium fans will have an opportunity to take pictures with Darryl Strawberry where he will make an appearance and sign autographs and memorabilia. According to the Kannapolis Intimidators News article, Darryl Strawberry will not only be doing photo ops and autograph signing at 6:00 p.m., but also he will make appearances at both the VIP Meet and Greet before the game as well as the luncheon earlier in the day where he will serve as the keynote speaker. 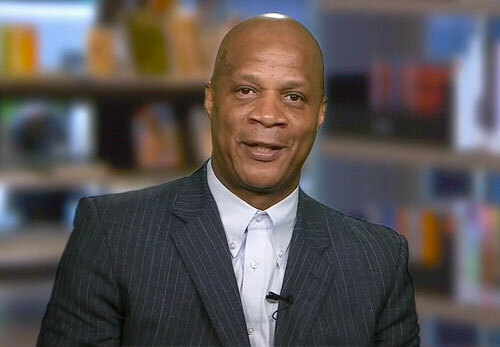 Darryl Strawberry is a former MLB right fielder who played for the New York Mets from 1983–1990, the Los Angeles Dodgers from 1991–1993, the San Francisco Giants in 1994 and the New York Yankees from 1995–1999. Strawberry is a four-time World Series champion for 1986, 1996, 1998 and 1999 plus he an eight-time All-Star for 1984–1991. He is the National League Rookie of the Year for 1983 plus he is a two-time Silver Slugger Award winner for 1988 and 1990 as well as the National League home run leader for 1988. Following his own personal struggles with substance abuse, Strawberry has become an evangelical born-again Christian who has devoted much of his life to helping others in need. Sports Speakers 360 is a booking agent for pro athletes. If you would like to book Darryl Strawberry for a speaking engagement, appearance or endorsement, contact a Darryl Strawberry booking agent for fees at 1.855.303.5450.